With the tourist attraction “Ride the Ducks” you are in an amphibious vehicle which can drive on the streets and also can ride the water. 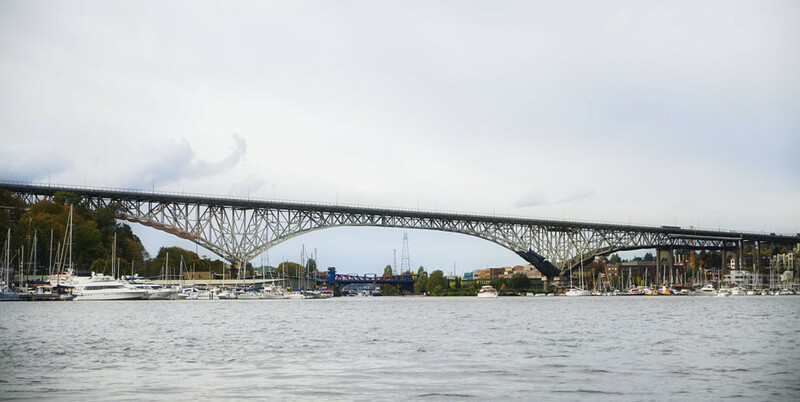 It’s great fun, and during the sea tour, I could get this photo of a bridge in Seattle. The whole day was gloomy, but I like the combination of gray clouds with industrial bridges.